Communist Party of India-Marxist General Secretary Prakash Karat on Wednesday held a meeting with Samajwadi Party supremo Mulayam Singh Yadav and is understood to have discussed the evolving political situation in the wake of the controversy over the ordinance to protect convicted lawmakers. 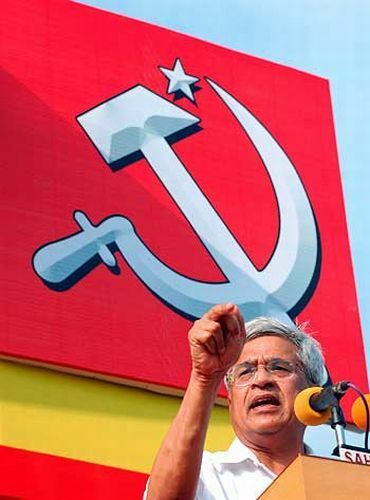 CPI-M sources said the meeting was essentially to discuss the plans for holding a national convention in the defence of secularism. The convention is slated to be held on October 30 in New Delhi. The sources said the convention will gather Left democratic and secular forces to adopt a joint programme to fight the menace of communalism, specially in the wake of the recent violence in Muzaffarnagar in Uttar Pradesh and other parts of the country. The evolving political situation in the country in the wake of the controversy over the ordinance is believed to have figured in the parleys. This is the second meeting between Karat and Yadav in recent weeks. Yadav had held talks with Karat and expressed the need to forge an alliance with the Left parties to work for the interests of farmers and other marginalised sections of the society.